Please note: for hygiene purposes it is inadvisable to use the same sponge on more than one person when face painting, applying stage make-up or similar. Good practice is a separate sponge per person, although of course it is down to personal choice! One way of making your sponges go further is to cut them in half. So if you purchase 15 sponges you then have 30! Ideal for use when face painting. Ideal for face painting when blending and dragging. 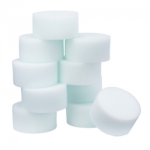 A smooth, closed cell foam sponge for applying cream makeup and Starblend style cake makeup. Provides a complete and even application. 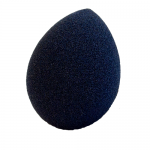 A Stipple Sponge is an open weave, textured sponge that is used to create effects like beard stubble, broken blood vessels and can also be used to blend makeup. Can be used with one stroke cakes to provide differing effects. Suitable for applying loose powders and fixing powders. The Face Paints Direct high density sponges and petal sponges are no longer sold in packs. They are sold as single sponges so you can buy as many or as few as you wish.